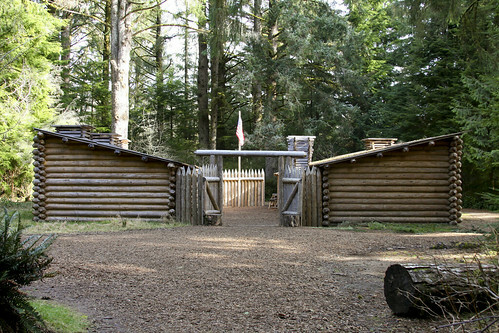 Today – yes, I’m actually posting on the same day for once – we left Seaside and drove up to Fort Clatsop. This is the area where Lewis & Clark finally came to the Pacific Ocean and stayed the winter of 1805-1806. We learned a lot about the expedition and found some new respect for the men and their journey. We went on to Astoria, Oregon where we tried to climb the Astoria Column only to find it was closed for maintenance. The tower itself was quite interesting, though. 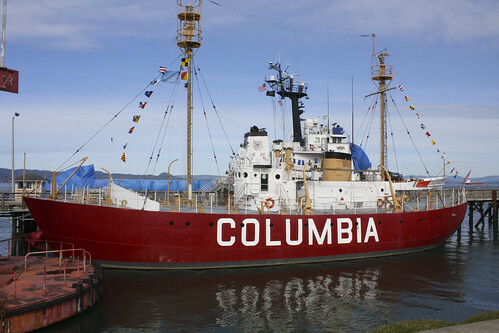 After the tower, we visited the Maritime Museum and learned much about the history of sailing and the coast guard – we even got to tour an old light ship that was used to help ships find the mouth of the mighty Columbia River. With the long Astoria-Megler Bridge in sight, the decision was clear that we’d be driving into Washington and taking the northern route to Christine’s parent’s home. This also happened to be the reported general route of the Lewis & Clark expedition. Wouldn’t they be astounded by how easy it is now to cross the country now? This entry probably isn’t rugged enough to have made the journey on foot. This entry was posted on Thursday, February 19th, 2009 at 11:26 amand is filed under . You can follow any responses to this entry through the RSS 2.0 feed. You can leave a response, or trackback from your own site.